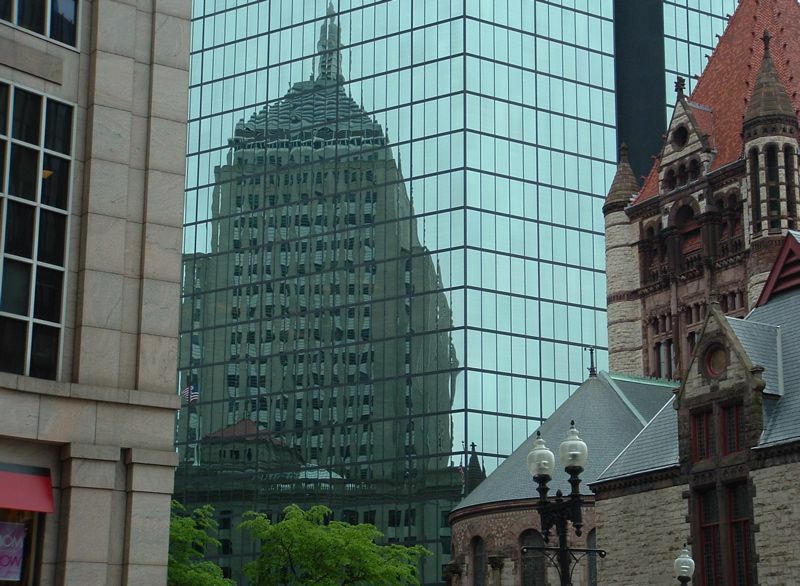 I posted this one on the Photo of the day thread, but Boston's most photogenic building deserves its own. I have a handful of old ones to throw out; everybody else is invited to contribute. Ahh, to think that this building was met with community opposition. It is, after all, completely out of scale with the surrounding area, and so radically modernist in such a historic place. 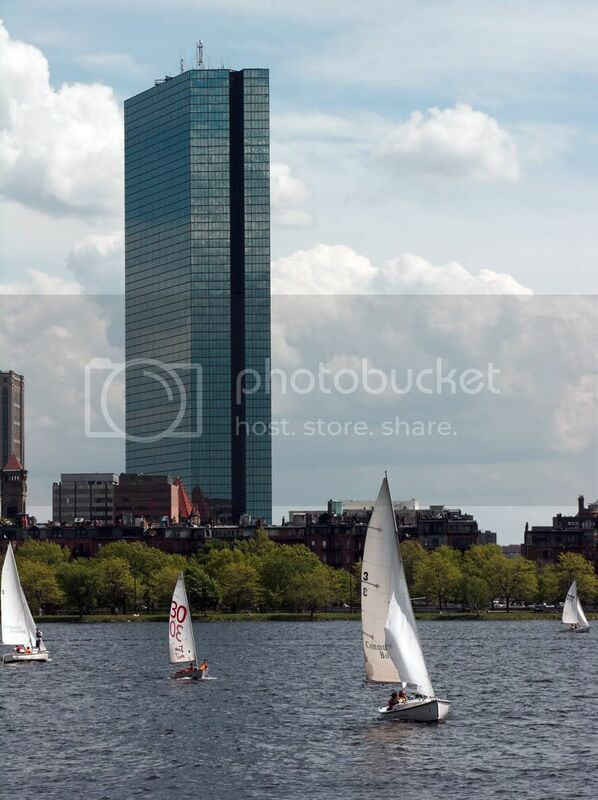 Question: How many of the smaller skyscrapers in, say, bowesst's pic from Cambridge existed when the Hancock was built? i'm a sucker for cool shots that somehow manage to have the place name in them. 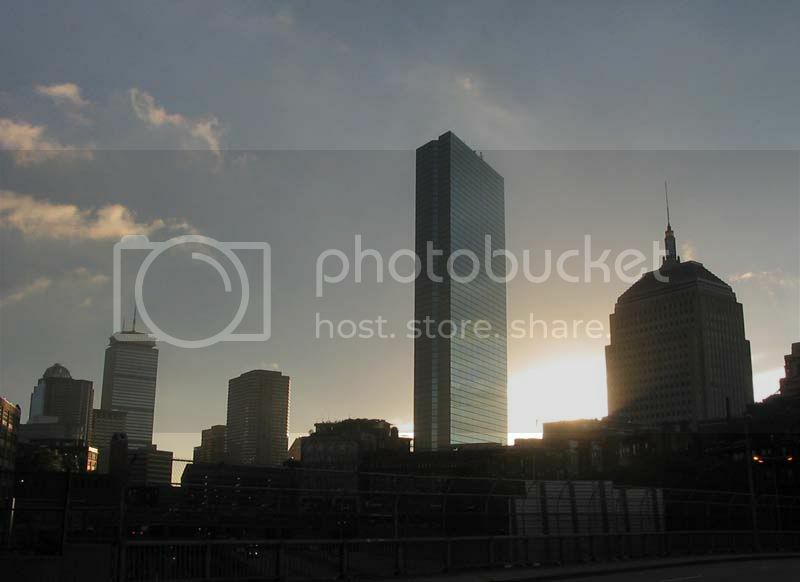 It always amazes me how TALL that tower really is when I'm standing next to it, or even just seeing a picture like that. 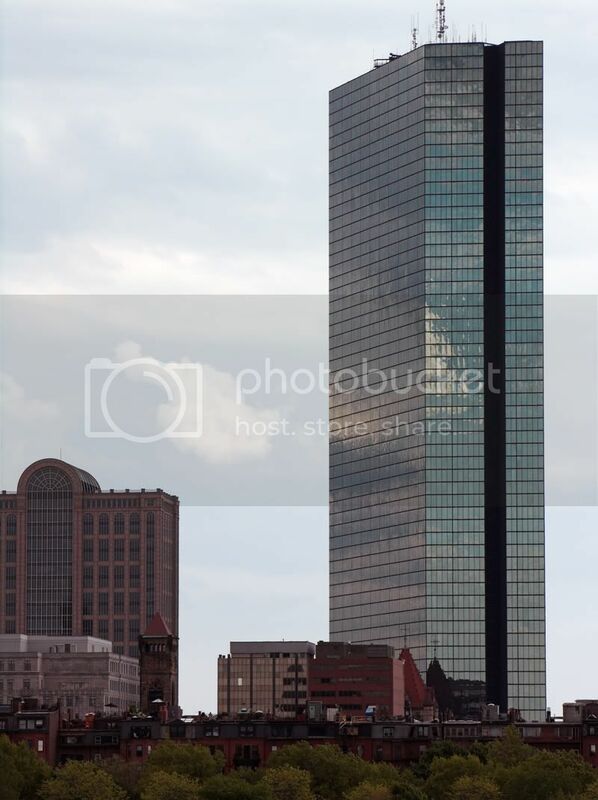 Even 111 Huntington (and obviously the pru) are SO tall when you take away the building in front of them. 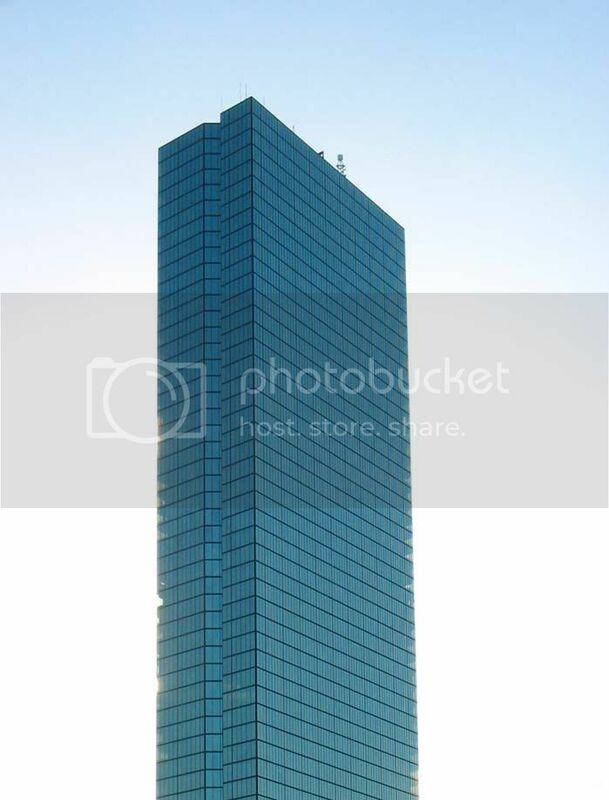 Just look at a picture of 111 and imagine the lines of the building continuing down to ground level. 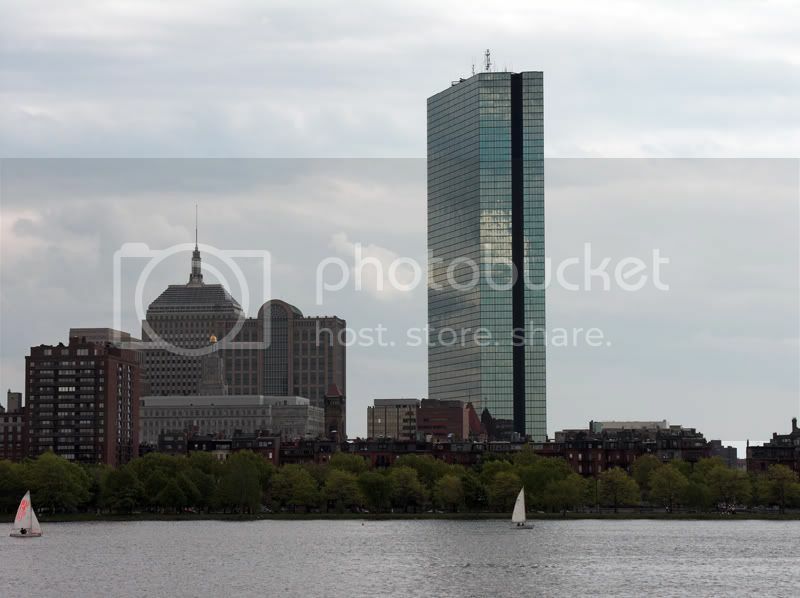 What also amazes me is how tall other buildings are. I once drew with a ruler a comparison of large buildings. I made 1 inch = 100 meters, and I put the Pru and Hancock towers (along with Northeastern's West Village H) next to the Empire State Building and Dubai's Burj Dubai, and other such buildings. The HUGE Hancock tower is about a third the height of the Burj Dubai. 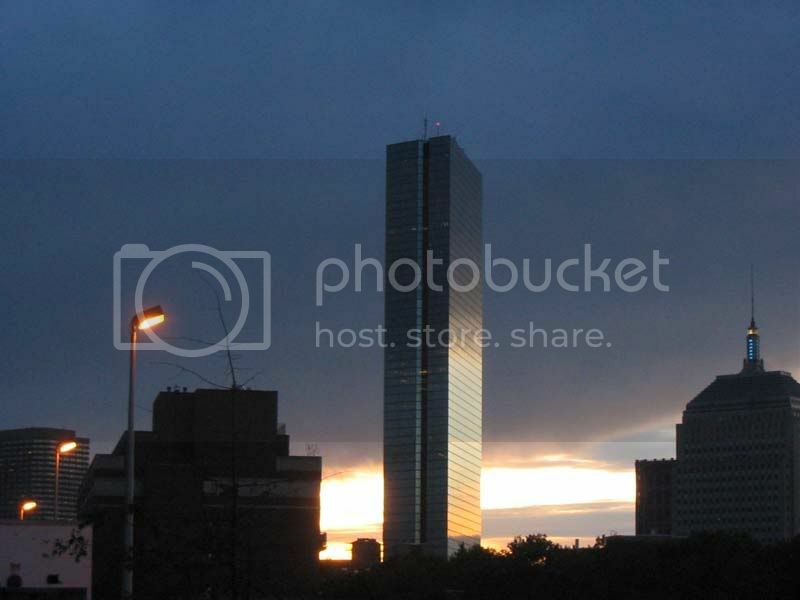 Are there any pictures of the Hancock during its "plywood palace" days? For all its notoriety, I haven't seen and can't seem to find a single picture of it that way...nothing turns up on Google. 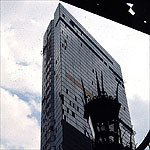 John Hancock Tower with much of its curtain wall glazing temporarily replaced with plywood. 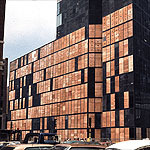 Near ground level, most of the John Hancock Tower curtain wall was replaced with plywood. How craptacular...thanks for the find. 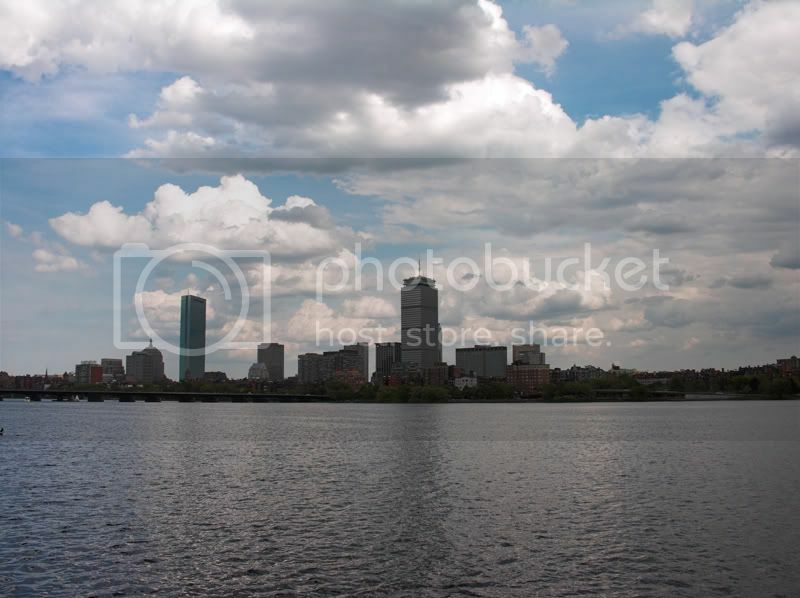 And was the original glass that much darker in tint, or is it just the exposure/film used? Wow. The JHT looks terrible back then.